People are beginning to awaken to the fact that many homes built in the early part of the last century have a lot more character than those built in the latter half, speaking architecturally. Modern builders are trying to recapture some of that character. If you own a home that’s a bit on the plain or boxy side, there are ways to add features that can make it more attractive, both to your family, and to potential buyers, in the event that you want to sell it. With the cyber explosion came a way to research just about any kind of project right from your own home. Couple that with the DIY shows on cable television, and the possibilities seem endless. Just remember, it sometimes is a little more difficult to do some tasks than they make it look like on television. If you aren’t an experienced carpenter or builder, it’s best to consult a professional for the larger jobs. One feature that can give a room a feeling of character is the installation or heightening of baseboards, with a molding along the floor. It’s important to measure carefully and level correctly. They can even be installed over existing carpeting, if you want. Painted a contrasting shade or even another color from the wall baseboards can enliven a room’s whole atmosphere. 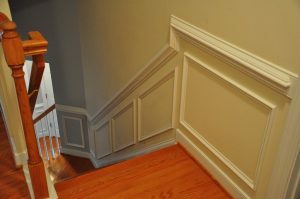 In the same vein, crown moldings can add dimension and style to a room, as can a chair molding. You can choose a plain, modern look, or go for a traditional style. A popular trend is growing in balconies – not huge, room size balconies, but smaller, “Juliet” balconies. Usually made of decorative wrought iron, they can enhance a nice set of French doors or windows. You may want to install the French doors, just so you have a place for a balcony. Speaking of doors, that’s another place where the options are limited only by your own imagination. Think of a beautiful door with arched glass panes in the front. You can install folding or French doors to open onto a back patio from the kitchen. Don’t forget the time honored bay window. That can add real beauty to a home. For an upstairs loft, think about adding dormers for shape and expanded room. Look at your doorways. A lot of people are changing from squared doorways to arched ones. You can make it as plain, or as ornate as you like. Imagine a long hallway with an arch at either end. Wouldn’t that look charming? If you have a doorway between your dining room and living room, consider an arch with pocket doors. This tutorial from This Old House gives more details. 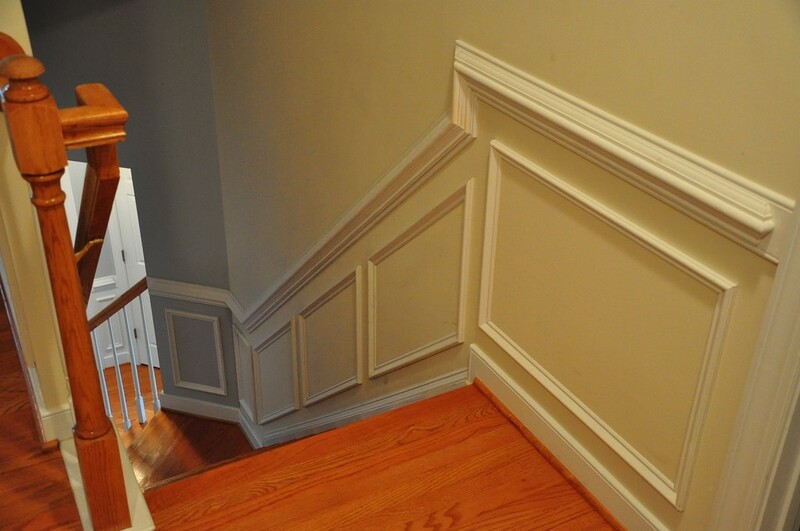 In those earlier homes a popular feature was wainscotting, which is making a big comeback. Again, it can be the same color as the wall above, or contrasting. Many styles and textures are available. 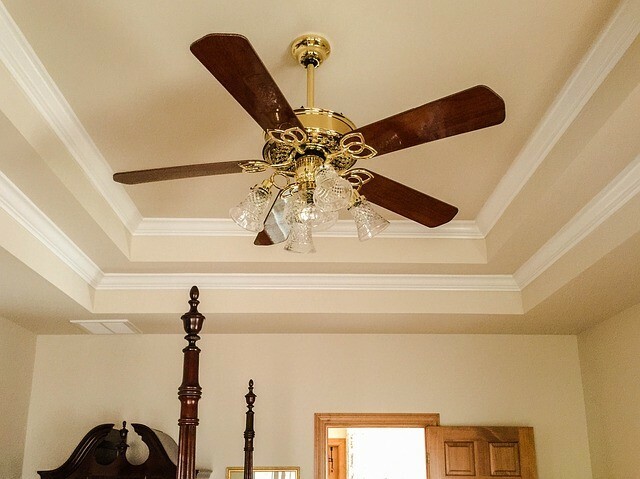 If you decide you’d like a vaulted ceiling, you’ll probably need some professional help with it. It may require some reconstruction and electrical work. You don’t want to botch a large job like this. A vaulted ceiling can feature beams, either real or fabricated. They lend an old-world look to a room, especially one with a fireplace. Done properly, any of these projects can add charm and value to your home. Let us know if you’re interested in listing or buying a home in the York County area, and we’ll be ready to help. The Jim Powers Team of local Realtors® is here for you from start to end. Visit our website to learn more, then contact us or give us a call at 717- 417- 4111.